Nite Ize Inc. will move manufacturing and distribution to this facility at 6303 West Dry Creek Parkway in Longmont. Courtesy CBRE. BOULDER and LONGMONT — Nite Ize Inc., a Boulder manufacturing company that began in 1989 with a headband-mounted flashlight and is now producing about 500 products, has purchased a 160,000-square-foot property in Longmont, where it will centralize its production and distribution. Buyer was ITE Holdings LLC, a company bearing the same address as Nite Ize, at 5660 Central Ave. The transaction closed in March with operations moving into the new facility now. The purchase price was $18,775,000, according to public records. The new facility is located in the Boulder Tech Center at 6303 W. Dry Creek Parkway in Longmont. Nite Ize facilities at Longbow Drive and Spine Road will be consolidated into the Longmont location. The company’s headquarters remains at 5660 Central Ave. in Boulder. “This building is one of the last remaining 100,000-square-foot-plus warehouses still standing within Boulder limits. Most companies are forced to leave Boulder when they need to expand, so this was a rare opportunity for Nite Ize to stay local yet still grow and modernize its operations,” said Brian McClenahan, vice president with CBRE in Boulder. Nite Ize has been in operation for 30 years. Founder Rick Case developed a hands-free, headband flashlight. The company now manufactures about 500 products in seven categories, including mobile, hardware, LED lights + accessories, bike, fitness, pet and games + fun. The new facility has 28-foot clear heights, front park/rear load design with 16 docks, two drive-in doors, a newly installed ESFR fire suppression system and trailer parking. It was originally built in 1991 and renovated in 2013. The nearly 11-acre site is located along the Diagonal Highway, about six miles from downtown Boulder. 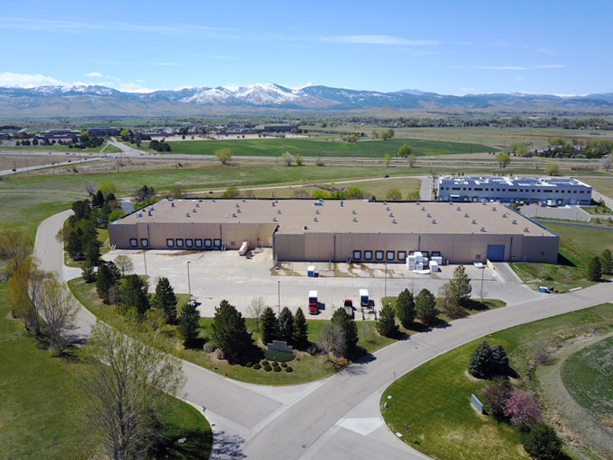 6303 West Dry Creek Parkway was previously leased by Case Logic, a subsidiary of Sweden-based Thule Group, which relocated last fall. McClenahan with CBRE and Chris Ball of Cushman & Wakefield represented Nite Ize in the purchase. The seller was STAG Industrial of Boston.